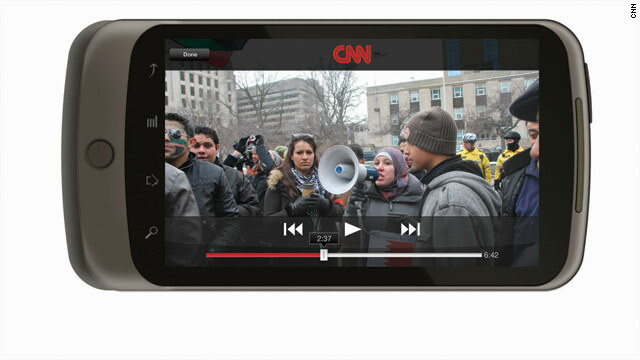 CNN today announced that the CNN App for Android Phones is available globally for free on Android Market™. The CNN App combines intuitive navigation with an immersive news experience, giving users direct access to CNN’s global resources – from live field reporting to user-generated content and a variety of enterprise interviews and podcasts. 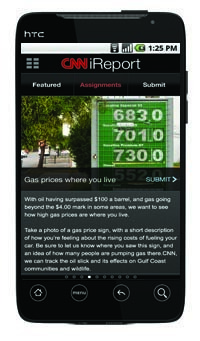 Available on Android powered phones running on platforms 2.1and above*, the CNN App showcases news of the day through text, audio and photos, live and on-demand video, and a direct gateway to CNN iReport, the network’s participatory news community. By clicking on the menu button, users can seamlessly toggle betweenU.S. and International editions, each of which includes all of the features of the CNN App. The Profile section of the app offers further personalization. Users can track local news and weather based on location and view stories they’ve saved for later – even when they’re offline. Text stories and images can also be shared directly from the App via email, Facebook and Twitter. The CNN App features push-notification breaking news alerts, and a widget that allows a user to view the latest headlines from a variety of categories directly from the phone’s home screen, without even opening the app. Lexus is the exclusive launch sponsor for the CNN Android app in the United States, as part of a larger integrated media plan spanning CNN linear, online and mobile web platforms. Lexus’ creative will feature the CT Hybrid model through slates displayed before video content on the app and through clickable banner ads linking users to their mobile-optimized website. 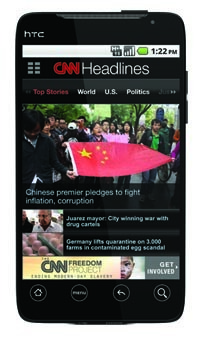 The CNN App for Android Phones is available for free on Android Market. For more information about the CNN App for Android, go to www.cnn.com/android. *The CNN App is available on most Android devices that support 2.1 and above. An exception is the Motorola BACKFLIP. **Android and Android Market are trademarks of Google, Inc.
For more information, visit www.CNNPressroom.com and follow @CNNpr on Twitter.